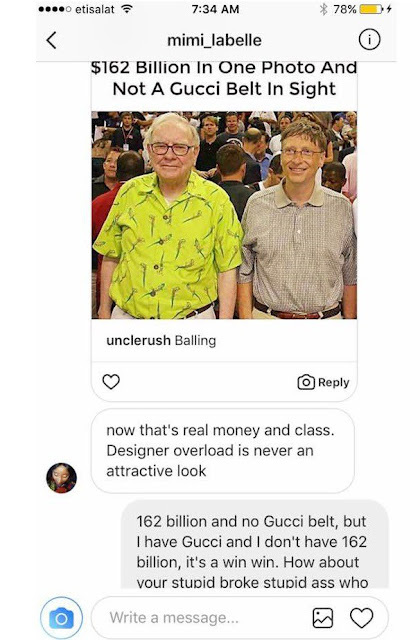 Hushpuppi has had enough of those who keep criticizing him over his source of wealth and income..
One of his follower, who felt the need to troll the Malaysian Big Boy slid into Hush’s DM and advised him to limit his spending and lavish lifestyle. Hush, who is an avid consumer of Gucci of course put the follower to her Place. 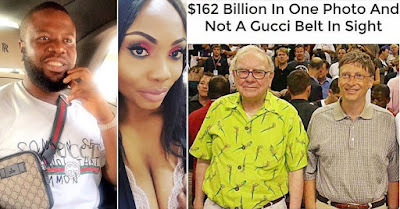 Identified as @mimi_labelle, she sent Hushpuppi a picture of Bill Gates and Warren Buffet and then wrote: “now that’s real money and class. Designer overload is never an attractive look”. 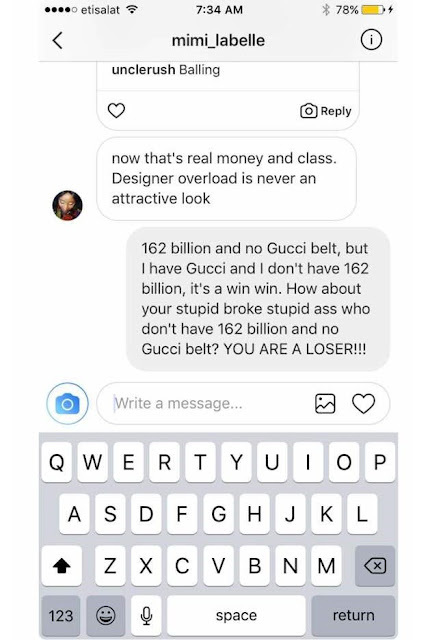 Then Hushpuppi gave her the last straw: “162 Billion and no Gucci belt, but I have Gucci and I don’t have 162 Billion, it’s a win win.